Laredo Womens Forum Panel Left to Right: Elmo Lopez Jr., Dr. Ellen Baker, Dr. Enrique F. Benavides Jr., Dr. Marissa R. Gonzalez. 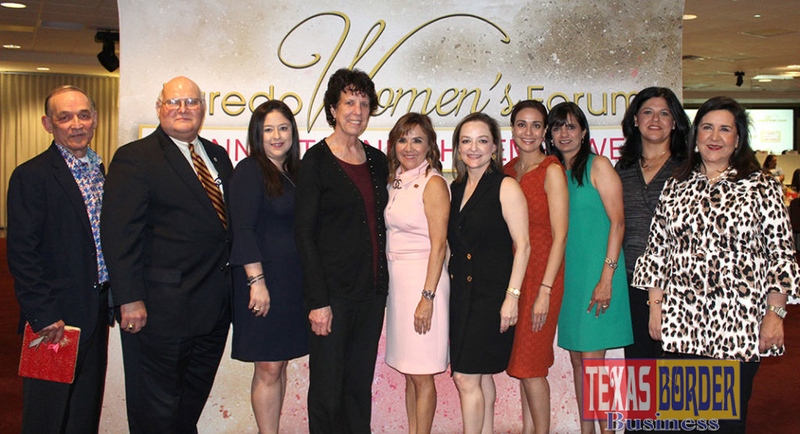 LAREDO, Texas – On April 10 the Laredo Women’s Forum held its quarterly event at IBC Bank’s Annex Ballroom to educate and engage local women by sharing information about the unique health care challenges that women face and the importance of self-care. Over 120 women attended the IBC Bank sponsored panel discussion to learn more about the difference between health and wellness, tips for making wellness a priority and advice for staying healthy. Panelists were MD Anderson Project ECHO Director Dr. Ellen Baker, OBGYN Dr. Enrique F. Benavides, Jr. and Family Practitioner Dr. Marissa Gonzalez. 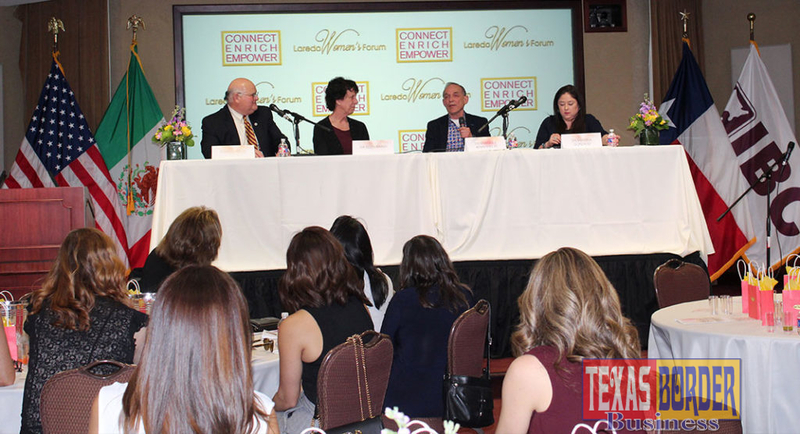 The panel was moderated by Elmo Lopez, Jr., CEO of Gateway Community Health Center Inc.
Dr. Ellen Baker is director of cervical cancer prevention at the University of Texas MD Anderson Cancer Center in Houston, Texas. She is also the director of Project ECHO (Extension for Community Healthcare Outcomes) at MD Anderson. Her ultimate goal is to improve access to cancer prevention services and cancer specialty care in rural, isolated communities worldwide. Dr. Enrique F. Benavides, Jr. has been a practicing OBGYN for over 40 years. He is a board certified physician in the clinical science of anti-aging and regenerative medicine. His goal is to educate his patients in living healthier lives to prevent long-term chronic illnesses. Dr. Marissa R. Gonzalez is a board-certified Family Physician who has been in private practice for the last 7 years. Aside from her private practice she is on staff at both Laredo Medical Center and Doctors Hospital and works part time at The Healogics Wound Healing Center at Doctors Hospital. Elmo Lopez, Jr. has over 20 years of experience in the healthcare industry. He has served as CEO of Doctors Hospital of Laredo and McAllen Medical Center and opened Laredo Specialty Hospital, Laredo’s only long-term acute care hospital. Laredo Womens From Left to Right: Dr. Enrique F. Benavides Jr., Elmo Lopez Jr., Dr. Marissa R. Gonzalez, Dr. Ellen Baker, Dalia Martinez, Adriana Maddox, Lucy Montemayor, Priya Vaswani, Adriana Devally, Margarita Flores. IBC Bank Officers Dalia Martinez and Margarita Flores were the driving force behind the creation of the Laredo Women’s Forum, whose mission is to connect and empower women leaders in order to enrich local businesses and the Laredo community. The quarterly events were designed to offer local businesswomen and community leaders the opportunity to network, exchange ideas and foster relations with key stakeholders. Topics focus on issues that affect the business climate for women locally, regionally and nationally. Priya Vaswani – About Time Inc.
Lucy Montemayor – Rodel International, Inc.